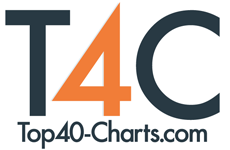 New York, NY (Top40 Charts) The Palisade Bluegrass & Roots Festival is excited to announce the addition of the Portland-based indie group, "Shook Twins" and Colorado's own "Meadow Mountain" to the 2019 festival lineup. Critically acclaimed, Idaho-born, Portland based indie outfit, Shook Twins, are known throughout the American Folk and Indie scene for their dreamlike harmonies and unique, personal songwriting. These two identical twins took the scene by storm when they released their first nationally recognized album in 2008, "You can have the rest." Since that time, they have released three full-length albums along with a variety of passionate, melodic single tracks. The dynamic group will be releasing their fifth album, "Some Good Lives," on 2/15/19 on Dutch Records. Saturday's festival lineup was also spiced up with the addition of Meadow Mountain. As the winners of the 2017 Rockygrass Band Competition, Meadow Mountain epitomizes the heart and soul of traditional Colorado bluegrass sound. This five-piece, technically proficient, string-band keeps festival goers on their feet and beaming with good Colorado festival vibes. "We are thrilled to be able to include these two talented groups in our 2019 lineup," said Josh Behrman, Owner of Mountain Groove Productions. "They really are the perfect additions to an already packed weekend of exceptional festival entertainment." The Palisade Bluegrass and Roots Festival takes place annually at Riverbend Park in Palisade, CO. This three-day festival event offers on-site camping, recreational festival activities, artisan vendor booths and nationally recognized bluegrass performers. This year's festival will take place June 14-16, 2019. To learn more about the lineup or purchase festival tickets, visit https://www.palisademusic.com.